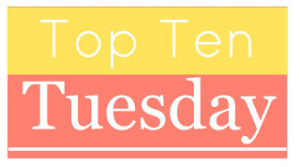 This week’s Top Ten Tuesday from the Broke and the Bookish was Ten Books I’d Love to Read With My Book Club, but since we are an exclusive book club of two here at Gun In Act One, we’re changing it up for a list of ten books we’d like to read together. If you want to see what books we’ve read and blogged about together already, may we direct you to this post here for a list. Mortal Heart by Robin LaFevers. Must finish the Assassin Nun story. Parasite by Mira Grant. Yes I am a tad obsessed with Seanan/Mira’s books. I don’t care and I’m taking Holly along with me. Persuasion by Jane Austen. I think our high school English teacher, Brother Ruhl, would be proud! 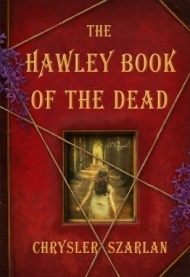 We both have this on our 2015 TBR Challenge list so it must be read! Romantic Outlaws: The Extraordinary Lives of Mary Wollstonecraft and Her Daughter Mary Shelley by Charlotte Gordon. I think its time to try some nonfiction together. This will be a good spring read! Black Dove, White Raven by Elizabeth Wein – Code Name Verity was my jam. The Wicked Will Rise by Danielle Page – follow-up to the very funny Dorothy Must Die, so we’ve got to find out what happens next. Fourth of July Creek by Smith Henderson – hmm, this is the only author of my list who will be new to both of us. Maybe we need to think outside the box more. Maybe. On the Jellicoe Road by Melina Marchetta – author of our beloved Lumatere Chronicles. We obviously need to check out her other work! Rodin’s Lover is a historical fiction novel about the relationship between French sculptor Auguste Rodin and his student/muse/partner, Camille Claudel, in Paris in the late 1800s. Admittedly, I knew nothing about these two artists, though I do love historical fiction about art. After finishing the novel, and reading the author’s end note, I was blown away by how much of the [heartbreaking] story was based in fact. The novel begins with an adolescent Claudel struggling in her provincial home, with aspirations of artistic greatness and a mother who withholds her affection and approval. Claudel and her family then move to Paris, where she comes into her own as a talented young artist, despite a number of challenges – including her tumultuous relationship with mother, societal expectations of women, and her struggles relating to other people socially. Enter Auguste Rodin, who takes Claudel on as a student, which of course, turns into more. I loved Claudel’s passion about being taken seriously as a woman artist. She recognized the difficulties in front of her, and refused to be treated as less because of her gender. At the same time, Claudel’s character was extremely unlikable at times. Webb does a great job of building Claudel’s character through the novel, as her behavior goes from passionate to frustrating to bizarre and tragic. I am trying (unsuccessfully) to avoid comparing Rodin’s Lover to The Girl with the Pearl Earring, but I can’t help myself. As a well-crafted novel about artists and muses, I couldn’t help being reminded of TGWTPE. However, I realize that is pretty unfair. TGWTPE is a totally fictionalized attempt to create a backstory for a Vermeer painting. 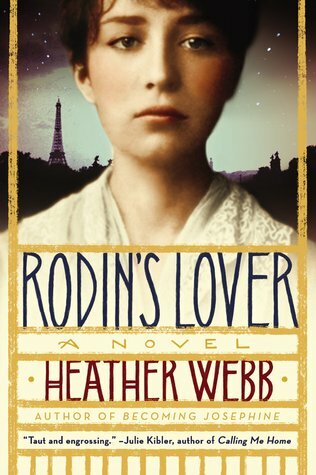 In Rodin’s Lover, Webb has woven the known details about Rodin and Claudel’s relationship into a novel that covers French politics, complex characters, and the creation of sculptures. There’s a lot going on in this novel, and found myself getting lost in it. If you have, like me, an affinity for historical fiction about artists and their muses, this is definitely worth a read. I received a complimentary copy of this book from Penguin’s First To Read program. The very first post I wrote for this blog was a review of a historical fiction set in colonial New Zealand, which I read because a) it was $1.99 and b) it was set in NZ. I recently read Dirty Chick: Adventures of an Unlikely Farmer, a memoir about an American ex-pat living in a small farming community in New Zealand because a) the publisher offered me a review copy and b) it is set in NZ. The publisher also offered to give a copy of Dirty Chick to a reader, so leave a comment at the end of this post to win! I know, I sound a bit like a crazy person, but NZ is essentially my personal Shangri-La. I spent a summer there on an internship in college, followed by a few weeks of traveling around with my BFF/sister/co-blogger Amanda, and we had the best time ever. 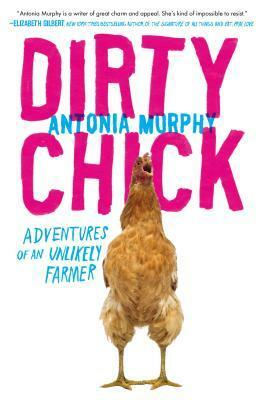 Besides, if anyone is going to judge me for being a crazy person, I’m pretty sure that it won’t be Antonia Murphy, author of Dirty Chick, because she sounds a bit like a crazy person as well. Gross stories about farm animals, sometimes in the house. I, however, can deal with all of the above, and I definitely found this an enjoyable read. In addition to the stories about racist zombie alpacas, seedy goat impregnation, and addiction to baby lambs, this is also Murphy’s story about parenting, and the trials of raising a disabled son. In those sections, you see the true struggles of life on the farm. As Murphy says on the subject, “compared to that, an angry rooster was a breeze.” Murphy brews a lot of fruit wine, and inexplicably wears animal ear headbands all the time, but she also proves that she will (literally, in fact) go to the ends of the earth to give her son a fighting chance at a healthy existence. If you want a fun, quirky look into a life that is unlike your own (unless YOU are also living on a small farm in NZ raising two kids and a score of animals, drinking quince wine and aging cheese in your garage), check out Dirty Chick. And, the giveaway! To enter, simply leave a comment below! What’s your personal Shangri-La? We’ll randomly select the winner on 1/29! I received a complimentary copy from the publisher for review consideration. Quotes taken from an advance uncorrected proof. Updated with the giveaway winner on 2/1: Congrats Kristi! Your book will be in the mail shortly! 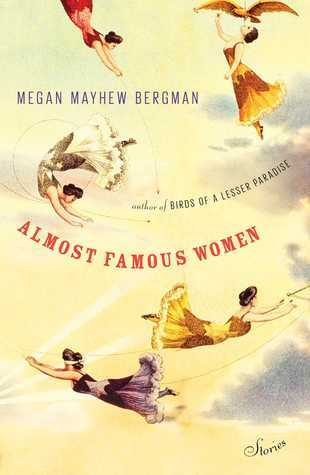 I rarely choose to read short stories so I surprised myself at being drawn to Almost Famous Women, a short story collection by Megan Mayhew Bergman, author of Birds of a Lesser Paradise. I am so glad that I requested this book!. I was intrigued by the concept of stories about women who had brushes with fame and were then somewhat lost to history. The stories bounce between a painter and a racially integrated swing band travelling the American south; and from Africa to England. As I read I was bouncing between Google and my kindle trying to learn more than the stories could give me. I certainly wasn’t familiar with Oscar Wilde’s niece Dolly or conjoined twins Violet and Daisy Hilton. While I know of Butterfly McQueen of course, thanks to Gone with the Wind, I hadn’t given much thought to her life after the movies. I loved the photos that came with each story. Even though the stories were fictional I felt they were enriched with an image of who each woman was. Some of these were too short for me- I have a hard time with stories that are basically a page long. But most of these stories both fulfilled me as a reader and left me wanting more -in a good way! 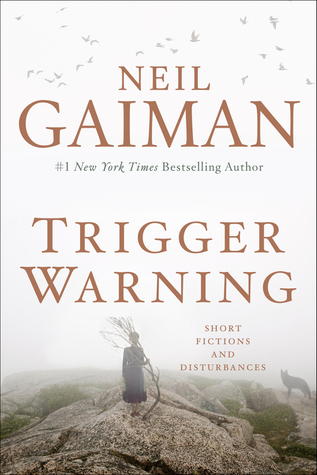 The stories range in perspective, in time period, from toddlerhood to those at death’s door. The experiences ranging from a child living in an Italian convent to a private island off the U.S. coast kept each story fresh and fascinating. The writing was beautiful throughout and I really felt the longing and the sorrow, as well as the hope and love. Without always being in first person Bergman really me feel that I knew each woman and made her more than an almost famous name. I will definitely be checking out Bergman’s past book. Thank you Scribner and Edelweiss for this advance copy in exchange for an honest opinion.